While we’re seriously impressed with Samsung’s net-zero TV, it would be even better if the solar technology was integrated right into the transparent display material. Researchers at the Department of Energy’s Brookhaven and Los Alamos National Laboratories are already looking into this, so this, so a new generation of solar-powered television sets may be right around the corner. i agree!! this perfectly suites online tv! perfect combination! Perfect when used with streaming TV on the internet. Should help keep costs down. Samsung just unveiled an amazing new solar-powered LCD television that can operate completely free from the power grid! The 46" prototype TV, shown at CeBit in Germany, includes solar panels that produce energy from the ambient light in a room - because it was engineered to use very little energy, no additional power sources are needed. 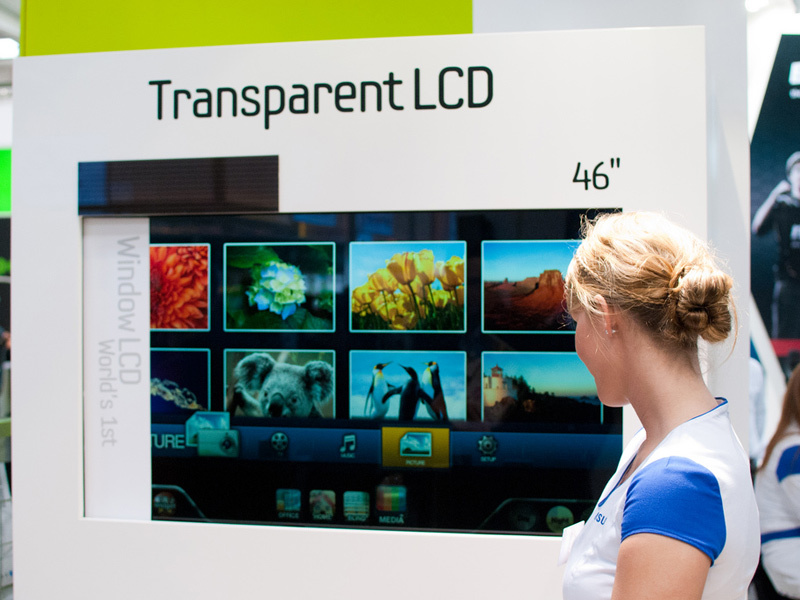 Another major breakthrough behind the concept is that the thin screen can display images and information while allowing objects behind it to be visible - this means that it has applications ranging from car windshield HUDs to storefront displays and digital window blinds.